Will you ever visit Tech City? The UK's Tech City has come of age with smartphone apps for iPhone and Android, fittingly created in the UK using UK tech for the UK government. 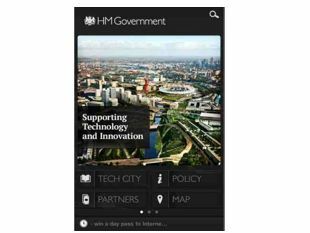 The apps, which are published by HM Government, bring news, events and "exclusive content" relating to the East London tech hub right to your smartphone. An app wouldn't be an app without some form of augmented reality and the Tech City app knows it, using AR features built by Autonomy, the British firm recently bought for crazy money by HP. Autonomy CEO Mike Lynch said, "It seems absolutely right that Aurasma – a technology developed here in the UK by Autonomy – has been chosen to enable this Tech City app. "Aurasma is going to bring a whole new dimension to Tech City, bringing physical locations to virtual life and allowing visitors to see and interact with the area in a completely new visual way." The two apps also promise to show you "what Government has done", so presumably they'll soon bring you the news that the Government has appointed a Prime Minister's Ambassador to Tech City. Ben Hammersley is the man for the job, who says he'll be "responsible for linking government, business and civil society" – Hammersley is editor at large of the UK edition of Wired, as well as a general tech commentator and consultant.